PLAYSTATION VR & CAMERA REQUIRED. 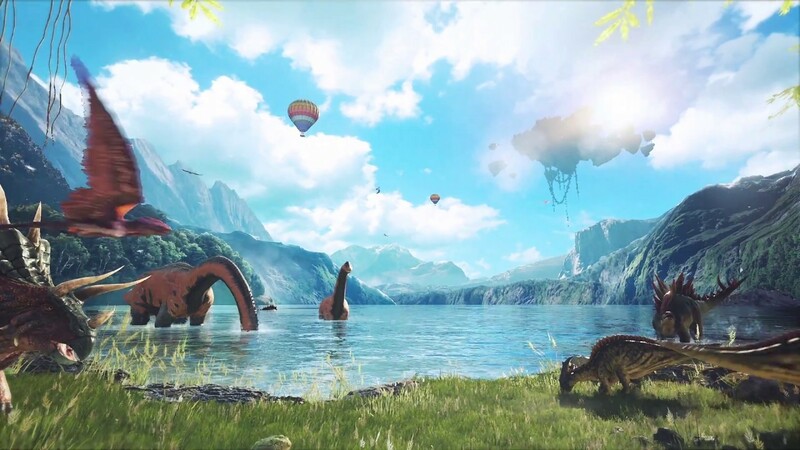 This interactive experience will fulfil your dreams of entering a world where living, breathing dinosaurs still roam the Earth. Freely explore this grand, virtual world where there’s no set plot line or schedule. Join your friends in multiplayer park tours to share the thrill of witnessing over a hundred prehistoric creatures up-close and personal. Day & Night Cycles: ARK Park features a real-time day and night cycle, with four different times of day represented – day, evening, night and dawn. Keep in mind that the time of day affects local creatures and biomes, causing some to present themselves only at certain times. A Rich Variety of Ancient Creatures: There are over 50 different ancient species in ARK Park. Players can interact, tame, or even fend them off. When exploring the wilderness, players can use a gene scanner to collect gene fragments from prehistoric creatures. These can be used to reveal detailed information about the creature(s) or even unlock blueprints for crafting. Dino Breeding: Within the Forest Trail, players can fulfill their dream of having a pet dinosaur. Hatch dino eggs at the incubator to acquire your own baby dinosaur!